I don’t know if you heard through the grapevine like I did that kids in France will sit through dinners that last hours. Or that families who eat together, stay together. 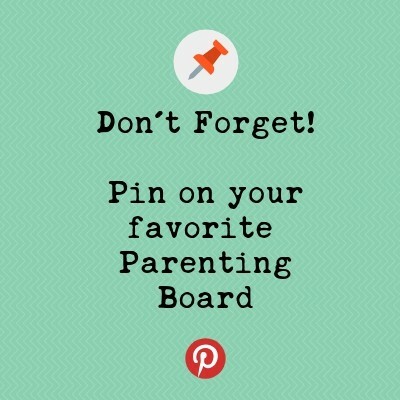 Or that dinnertime is the best time to connect as a family. Dinner time in our house has been an ongoing struggle through the toddler and preschool years. Not because my son is a picky eater, but because he can’t sit still. Barring moving to France (if that is really true) so at least he’d have examples of kids sitting through meals, something had to change. 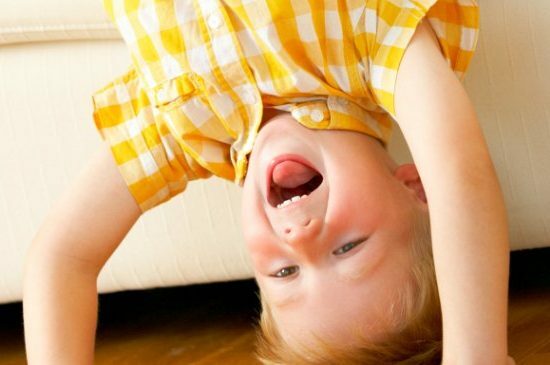 Let me clarify something– my son can sit still– for long periods while playing or reading. He’s perfectly capable of it. But at the dinner table? Forget it! He’s high energy and something about it being the end of the day and Daddy is just getting home is a recipe for mealtime struggles! Dinner is our main meal of the day, but mealtimes were getting intolerable. I started asking my son if he wanted to help me get dinner ready so he would be more invested in the meal and the process. He helps with the food preparation sometimes, but what he really liked doing is helping to set the table. I cleaned out a lower cabinet and put all of his dishes and cups in it so it is easy for him to reach and so he has a spot in the kitchen. I also put an extra set of measuring cups and spoon in there. He loves to help measure! He also loves to pour a small picture, so if I have any kind of sauce he is extra excited for dinner and to do his part as the saucier. 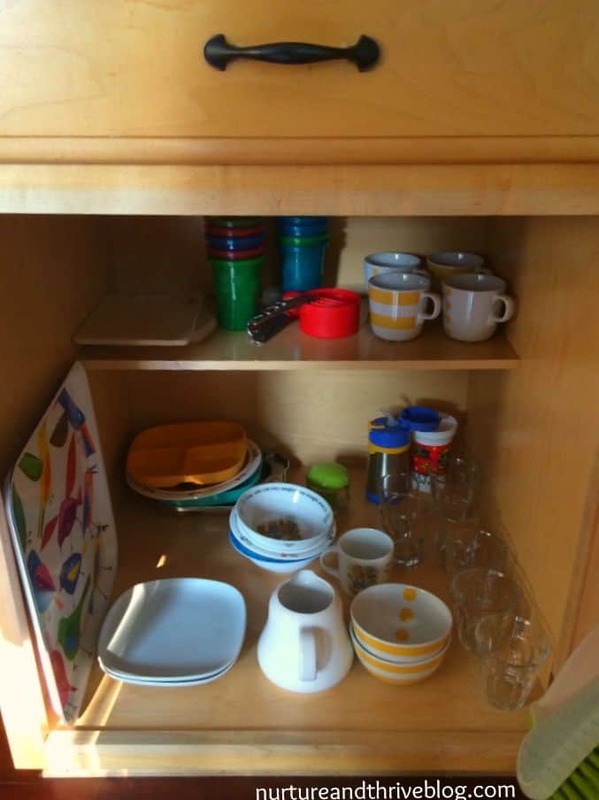 He also started helping put away dishes in his cabinet and sort the silverware! Being included in prepping for dinner helped my son be more willing (sometimes even excited!) to sit down and be a part of dinner. 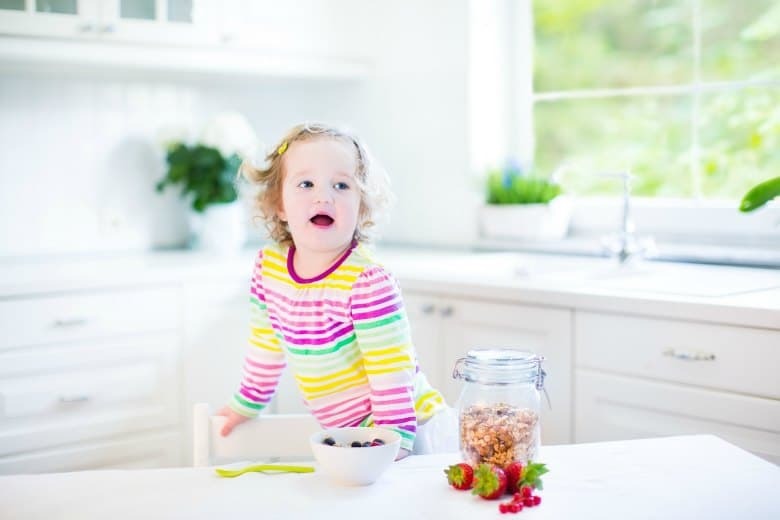 As I was searching for ideas to help my son sit through dinner I came across this excellent post at Your Kids Table: How to Seat Your Child for Mealtime and Why it Matters. 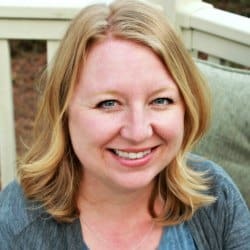 I highly recommend clicking over and reading that post yourself, the author is a Pediatric Occupational Therapist which means she is uniquely qualified to talk about sitting positions and kids. 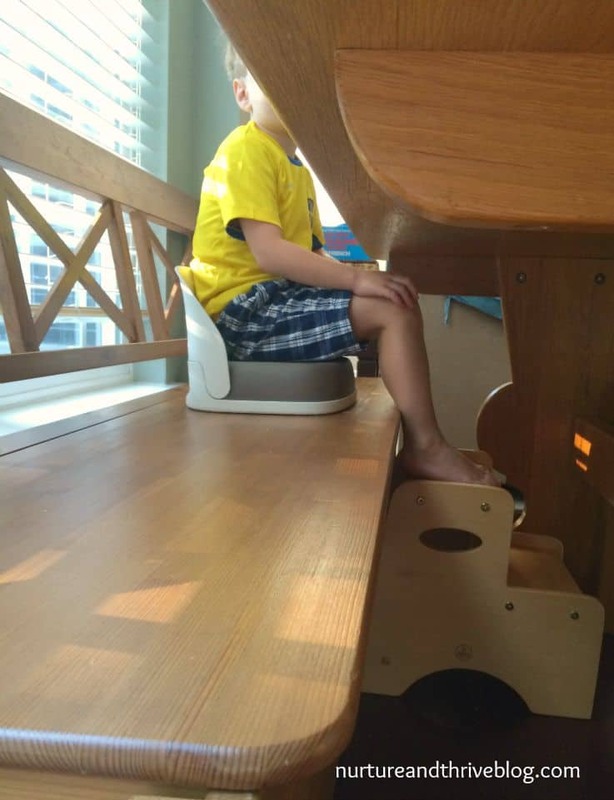 Honestly, this was something I never thought about myself as my son doesn’t *need* a booster like he did when he was younger, but what she says about sensory input for the feet and sitting at a 90-degree angle makes sense. I purchased this booster seat which is specifically designed for big kids aged 3 and up to raise him up the right level at the table and used a two-step stool to create the 90-degree angle for his feet. My son now actually sits through a whole meal and he’s comfortable. It’s amazing! Now, an hours-long French meal, I still have my doubts. But, no more getting up and down, hanging on Daddy, spinning around, etc. All of those behaviors stopped when we changed his seating position and gave him proper sensory input through his feet. This one is simple, but it helps. I think this actually helps more at breakfast and lunch when I am still moving around the kitchen and he is sitting by himself. And he has learned a lot from studying these while he eats. 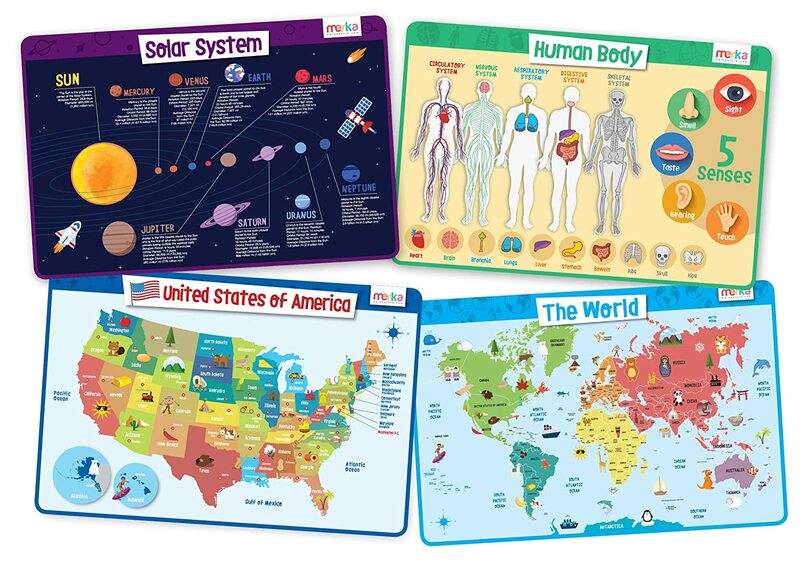 There are a ton of inexpensive and educational placemats on Amazon. 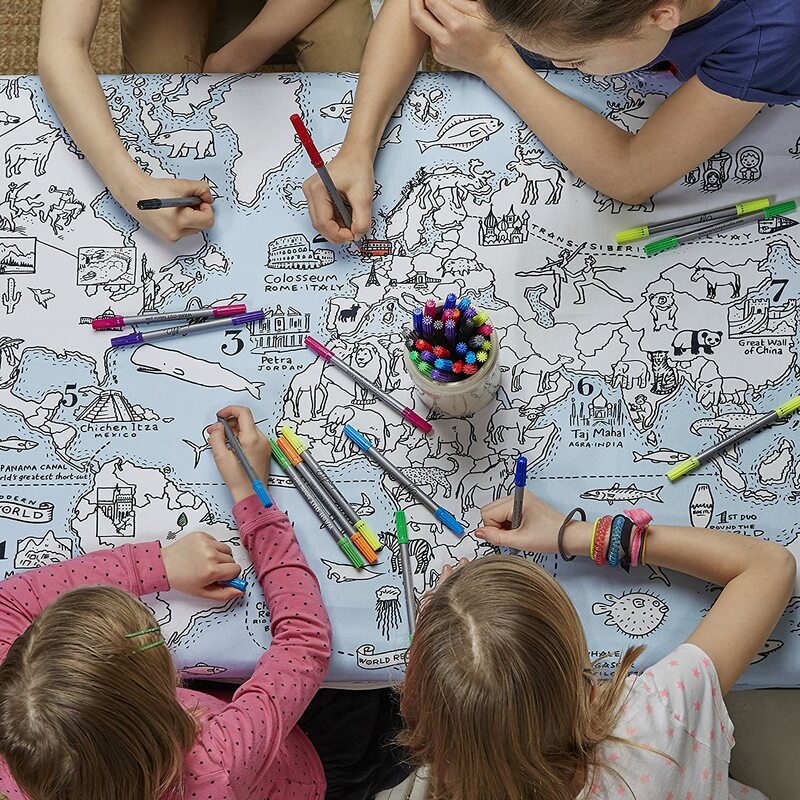 Another idea is to cover your table with butcher’s paper and encourage your kids to color the table while eating. I don’t do this all of the time, but last summer vacation I decided to do it on a slow week to make mealtime more fun. You can also do this for special occasions. I don’t know many toddlers or preschoolers who can carry on a conversation about their day at the dinner table. We do talk about what each of us did during our day, but it is a pretty short conversation at this age. Who says dinner time has to be about a conversation, especially with little kids? 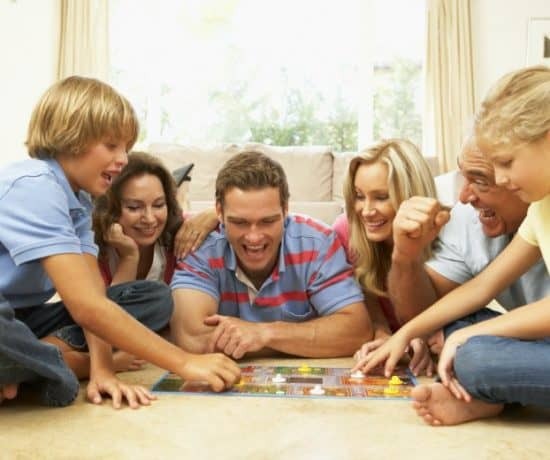 What really counts is making that connection as a family and establishing the dinner table as a place where you can have fun together. So, why not play a game of some kind? 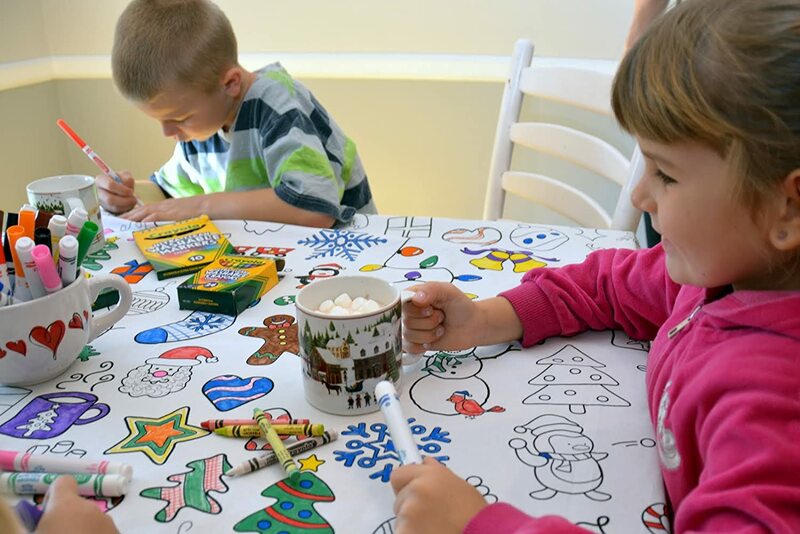 Here is a great list of games from the Family Dinner Project for ages 2 to 100! But my absolute favorite game to play at dinnertime is an idea I got from What Do We Do All Day‘s post on Why You Should Ban Dinner Conversation (And What To Do Instead). It’s really worth clicking over and reading her perspective. Her goto activity at dinner for her family is Mad Libs! Seriously, this works! We have had so much fun and laughter creating and reading Mad Libs at dinner. My son is four, so I purchased Mad Libs Junior, which gives you a list of words for each category. We read the list, he chooses the word, and hilarity ensues. Dinner time just became fun family time (to my amazement)! Goal accomplished! I hope some of these tips transform your dinner time like they did for us! Hi Janine, Yes I know, for mine it would have to be chocolate croissants! These are great tips that I look forward to trying with my three and a half year old daughter at HOME. But what about at preschool/daycare? The seats and tables are child height so her body position is good. However her teacher says she always wants to wander around during lunch time, which causes other kids to follow her and is disruptive. Any thoughts? Hmmmm, great question. Maybe get a book about preschool and talk about expectations? I would also ask the teacher, she may have some suggestions. Let me know if you figure out something that works!